It has been awhile since we first posted Berkeley indie-pop band Local Hero and their song "Lady Wisconsin." After that release the band disappeared, but for good reason as they were working on their first full-length record, From Timid to Timbuktu. After almost 8 months of recording, the band released the album in September. And of course, somehow the email about the record got lost in my inbox and I found it the other day when I was cleaning everything up. Now, although I'm late with the record, it's never too late to share with all you. 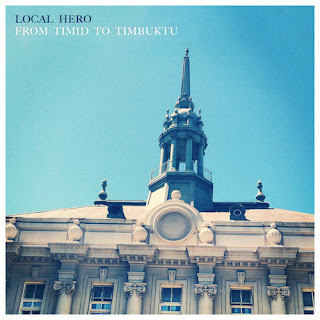 From Timid to Timbuktu features some fun indie/pop jams that will get you jumping out your seat. If you liked previous material from them or discovered their first EP, you'll notice it keeps the pop sound but with tons of growth. Solid record for sure, stream it below.